If you are an older adult living with osteoarthritis, you’ve probably noticed your arthritis pain and symptoms increase or decrease as the weather changes. Seniors who live in northern climates suffer more when the cold winds blow, while those who live in the Seattle area may find their disease worsens during the rainy season. There is science to back up your observations. Researchers from Tufts University found that changes in the barometric pressure can actually impact pressure inside damaged joints. One experiment they conducted seemed to explain why barometric pressure was a trigger for arthritis pain. In the test, pressure in the hip joint was equated to atmospheric pressure. It resulted in the ball of the hip joint being thrown off track by about one-third of an inch. While the pain of osteoarthritis can limit an older adult’s ability to maintain a normal life, many are hesitant to take prescription medications. The side effects of arthritis medicines are often quite unpleasant ranging from ulcers to increased risk for infection. The good news is that there are holistic methods of managing pain and symptoms that many seniors have found to be helpful. Managing arthritis naturally includes adopting good prevention practices and having the supplies on hand for times when the disease flares. To manage arthritis on a day-to-day basis, experts recommend a healthy lifestyle that combines smart food choices and exercise. Arthritis-friendly Food Choices: The more we learn about the impact diet has on our overall wellness, the more it makes sense to adopt a healthy diet. For people with arthritis, incorporating inflammation-fighting foods is key. Tomatoes, fatty fish, leafy greens, strawberries, oranges, tart cherries, almonds, walnuts, ginger, raisins, and olive oil have all been linked to decreased rates of inflammation. On the other hand, margarine, French fries, red meat, bread, pasta, candy, pastries and sodas can inflame damaged joints. 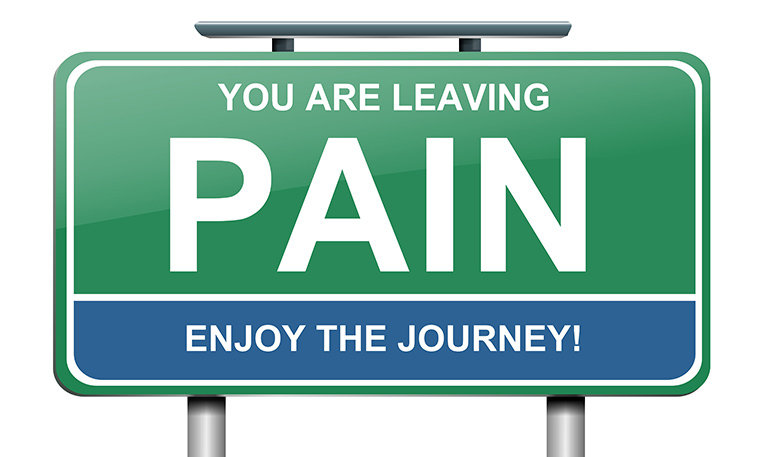 Cold and Hot Therapies: Most arthritis suffers know a heating pad applied to damaged joints can help with the pain. But newer research shows that alternating between hot and cold therapies may be even better. Cold packs may help reduce inflammation while heat can decrease pain. Hands and Feet: For many seniors, the pain is the worst in hands, wrists, ankles and feet. Heated paraffin dips, like manicurists use, can be purchased inexpensively to use at home to manage arthritis pain in the hands and feet. And gloves and booties filled with rice and lavender that can be heated in the microwave may also bring relief. 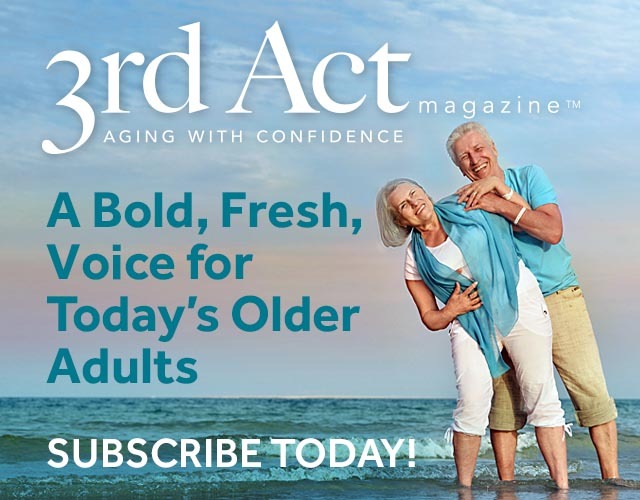 To receive the latest news and information on living your best life, we invite you to Subscribe to 3rd Act Magazine online. You will receive one full year of our magazine delivered right to your door at no cost!